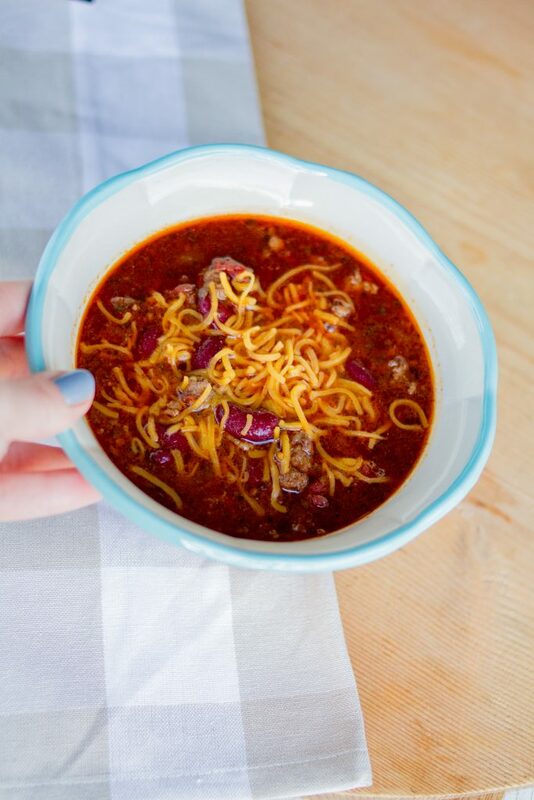 One of my favorite things about fall food is chili and soups! 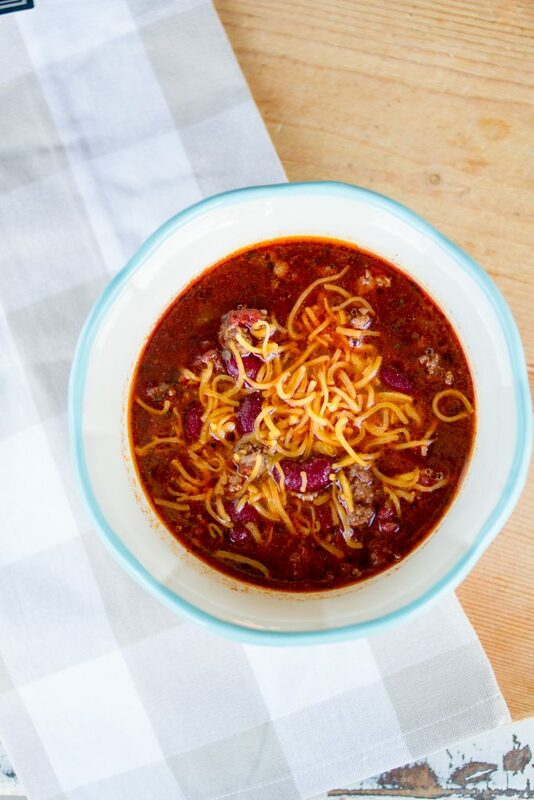 I seriously look forward to making this red wine chili every fall. 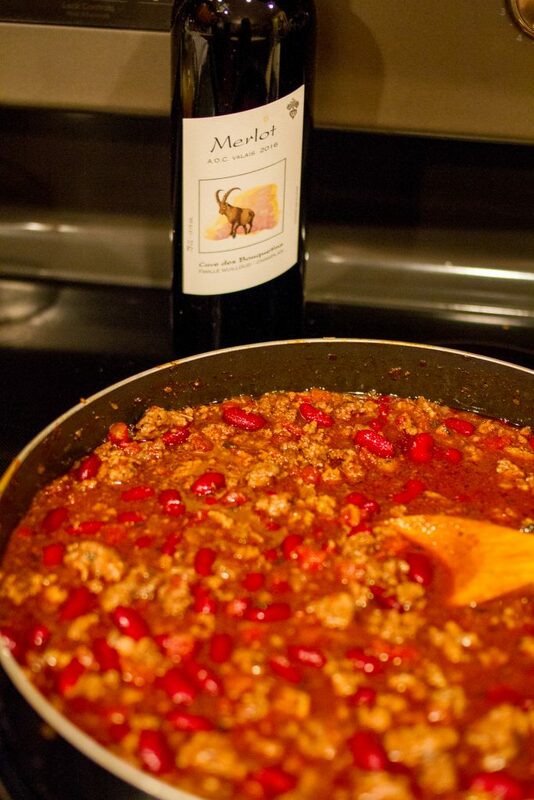 It is packed with flavor and the red wine gives it the most unique taste! If you need something easy to make for dinner this week, this is it! So yummy and perfect for a rainy, cold night at home! Also, totally “diet friendly” and I even ate this on my low carb day! It’s not, no carb, so if you’re on a low carb diet you can keep the rest of your food for the day super low this can totally work for dinner! Sauté onions, garlic and beef in the olive oil until browned. Pour boiling water over chili powder until dissolved, add to the beef mixture along with the tomatoes, salt, oregano and basil. Simmer over low heat about 1 hour, stirring occasionally. Stir in the wine, simmer uncovered, 20 minutes stirring occasionally. Add beans, heat slowly until thoroughly hot.